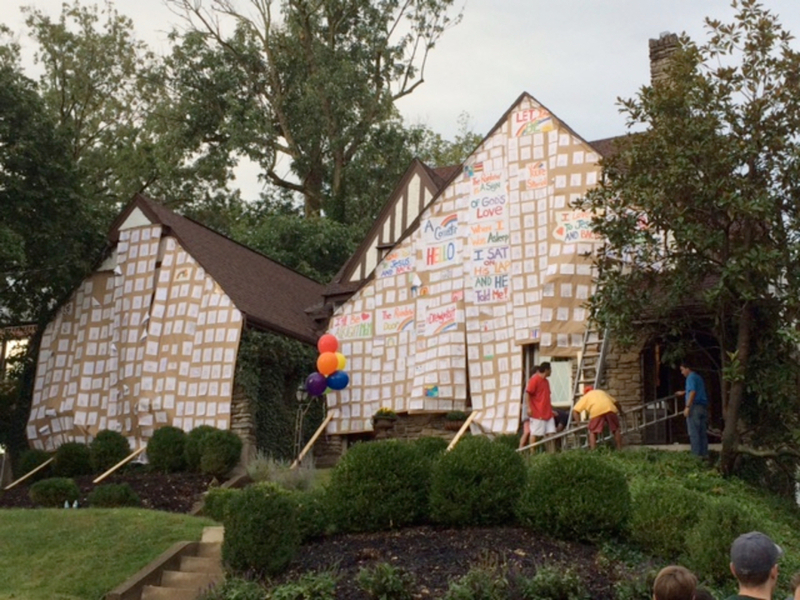 CINCINNATI -- For 10 years, Andrew Leurck has drawn rainbows. His family had so many -- and wanted everyone to see -- that they wrapped their Hyde Park home in his artwork last September. Andrew doesn't make them just because they're beautiful: He does it so other people know they're special. And now his family is working to take his message to an even bigger audience through a documentary. 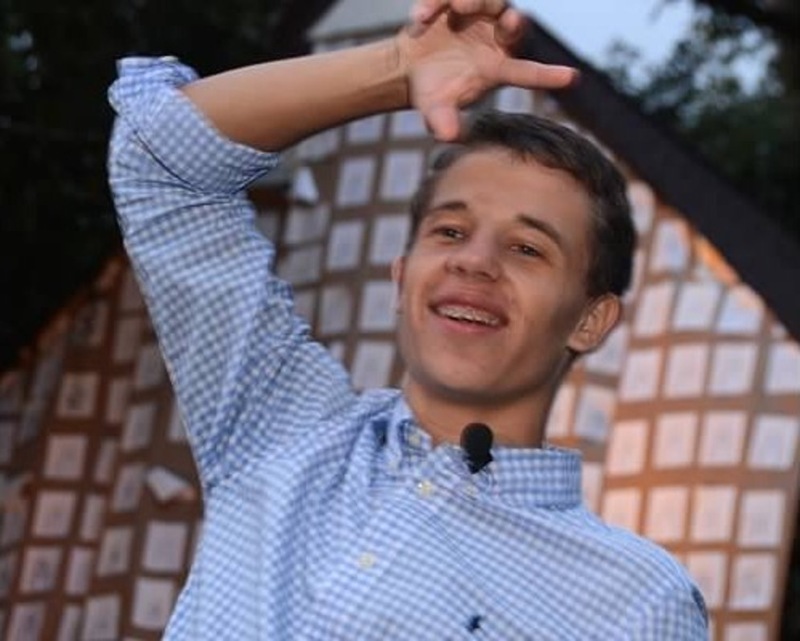 Andrew's obsession with rainbows might seem strange for a teenager, but Andrew is special himself: He is developmentally delayed. The Leurcks wrapped their home in Andrew's artwork in September. "Sometimes you need a small reminder by a simple soul that you're a beautiful person and that you are special, and that’s what Drew’s gift is," mom Katherine Leurck said. "Whereas people say he has special needs, he just simply sees the special beauty in each of us." It's not always easy, she said, like when he recently got his driver's license. "And it said at the top 'non-driver.' I had a punch-in-the-gut moment where I kind of felt sad, but then Drew gave his rainbow to the BMV people and they said 'What?! No one is ever happy to come here at the BMV.' That shifted it for me, so we've been encouraged to tell the story in a documentary about how to approach these things and how to share this gift with the world." The Leurcks are working to submit a documentary to the ReelAbilities Film Festival in November "to let people know that everybody matters," Katherine Leurck said. Andrew presented his idea to more than 100 Miami University students and asked for their help: Their response, his parents said: "a resounding, YES!" And when they were leaving campus, they got their sign: a double rainbow crossing the sky above Oxford. "I was overwhelmed and awestruck," Katherine Leurck said. "It was a perfect double rainbow I have ever seen. It was such confirmation that this child's message needs to be told, and it could be impactful and heard by everybody and it's worthy of it. It made me feel like he's meant to be telling this." The Leurcks have set up an IndieGoGo campaign to help fund the documentary, and they're holding a kickoff event from 5 to 8 p.m. Tuesday at Teller's of Hyde Park. You can learn more about this project at Drew's Rainbows .